Summary: The description, specs, pricing, photos and user ratings for the Ed Brown IPSC Edition pistol. The Ed Brown IPSC Edition is a full-size, 1911-style pistol built on a stainless steel frame and chambered in .45 ACP. 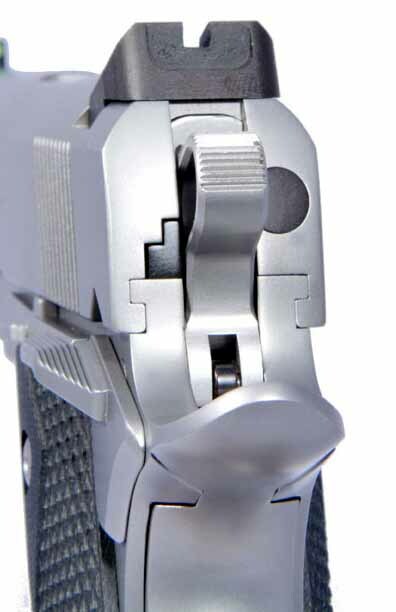 Ed Brown says it offers the gun in collaboration with the International Practical Shooting Confederation (IPSC) and will donate a portion of the proceeds from the sale of every pistol to IPSC to help IPSC fund its mission. The IPSC Edition from the right. 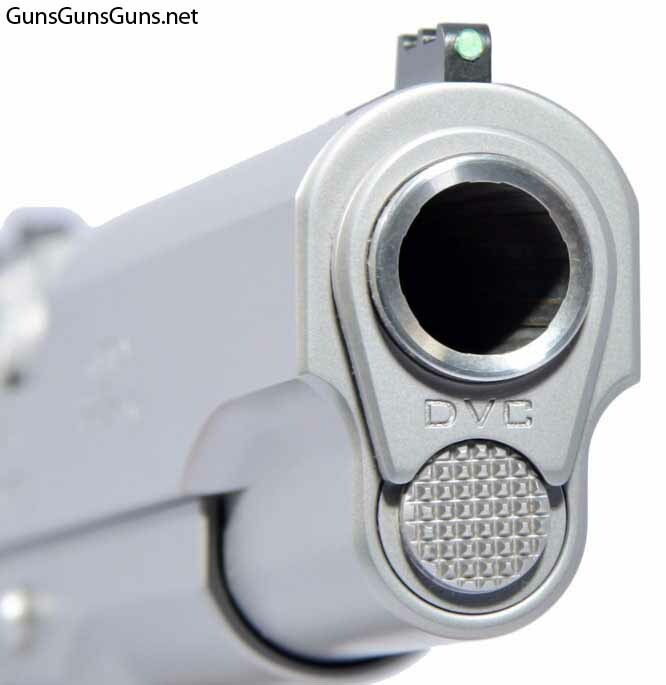 “DVC” engraved on the bushing. You can order the IPSC Edition from Ed Brown from Dec. 15, 2015, through Dec. 31, 2016. 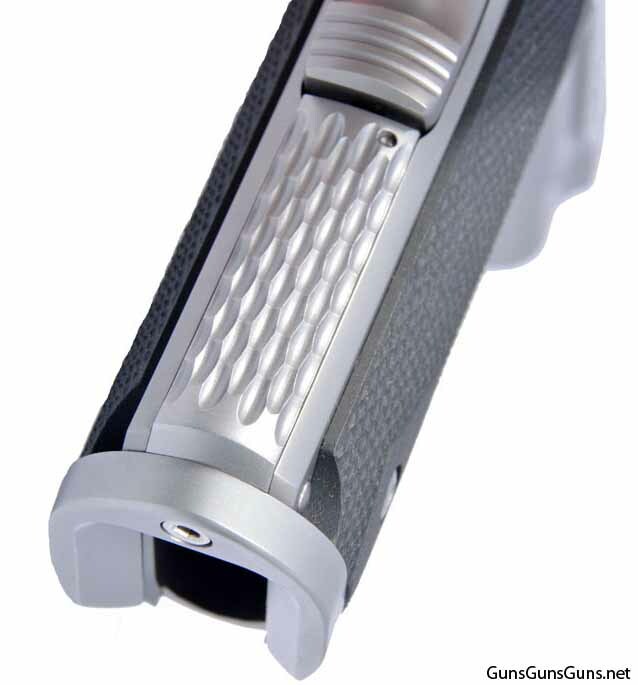 The IPSC Edition’s backstrap and magwell. The IPSC Edition from the rear. 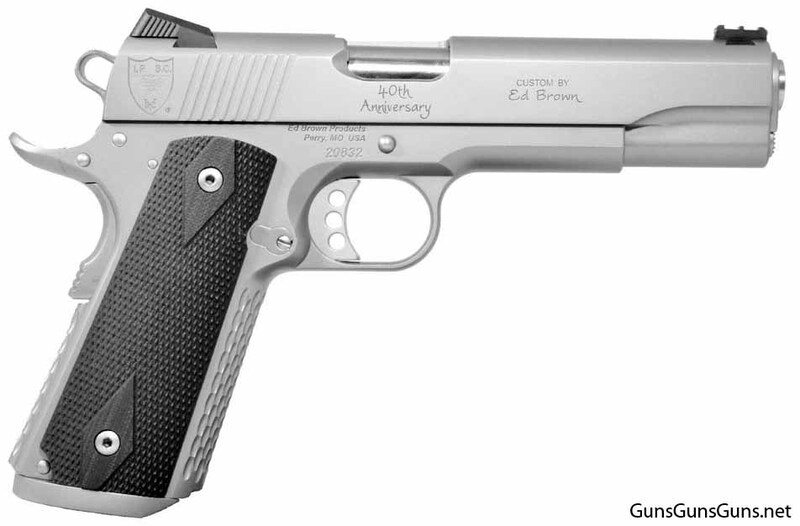 This entry was posted in .45 ACP, $2,501-$2,750, 1911, Ed Brown, Full size, Semiauto on January 8, 2016 by Staff.